Thinking of buying a new boat through Lee Marine? Lee Marine’s best strength is our after sales service. 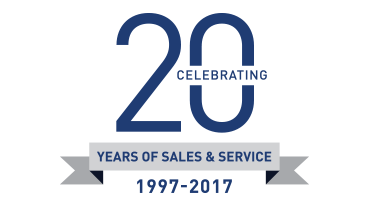 Headed by Glen King with over 35 years in the marine industry, and over 200 new boats successfully sold and serviced, we have learned that the most valuable lesson in our business is keeping our clients happy. Even with the unique challenges Thailand provides, we have formed relationships and connections that allow us to provide an exceptional level of service. Headed by Glen King with over 35 years in the marine industry, and over 200 new boats successfully sold and serviced, we have learnt the most valuable lesson in our business is keeping our clients happy. Even with the unique challenges Thailand provides we have formed relationships and connections that allow us to provide an exceptional level of service. Lee Marine will assist you with everything needed to make the commissioning of your new yacht a pleasant, relaxing and stress free experience. One of the most rewarding parts of your boat ownership is taking the keys and enjoying your first cruise with friends and family. At all material times you will be able to reach your broker and service manager for quick assistance. From minor issues to major problems, we ensure that you get back on the water as soon as possible. At all material times you will be able to reach your broker and service manager for instant assistance. From minor issues to major problems. We will ensure that we get you back out on the water as soon as possible. We will create a service schedule, including preventative and annual maintenance to ensure your vessel is always maintained and running perfectly. A full service history is important when it comes to selling your yacht and we will take control of this very important aspect of boat ownership for you, as our valued client. If you have an emergency our Service Department are on call, and can arrange assistance and towing. No matter where you are in our region if you buy a new boat from Lee Marine, we can arrange for your safe return and the absolute assurance of your vessel being brought back to perfect condition.